I loved this photo when I saw it. 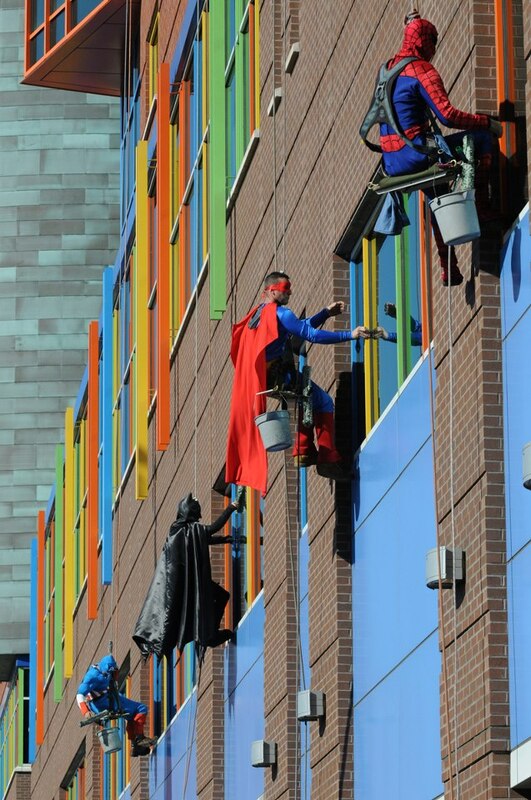 A wonderful example of going that extra mile to bring happiness into an everyday service. 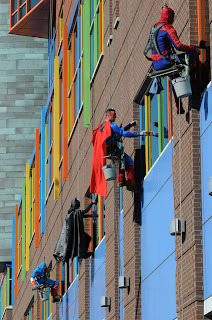 They are window cleaners dressed as super heroes on the side of a Childrens Hospital in Pittsburg. I googled the event and it made me smile even more.